We finish of todays classic race queen scan sets with the second set from Kuni. We contune todays look at some classic race queen scan sets. This is part one of two by Kuni. We go back to around 2000 / 2001 for this classic race queen look. 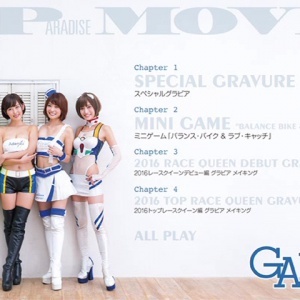 The 2016 Goodyear Angels are Tsukasa Arai, Mai Nishimura, Yurie Seno and Risa Ootsu. One time AKB48 performer Mariya Nagao is this months cover girl. © 2017-2019 All rights reserved. All trademarks are property of their respective owners.